News: A Rise in Demand for Skilled Workers and Capabilities in Manufacturing | Temco Tool Inc.
As the manufacturing industry continues to advance, the need for skilled workers increases. The demand for machinists, programmers, and operators is growing at a rate higher than people receiving degrees to fill those positions. It is estimated that in 2025 there will be 2 million unfilled skilled job openings in industry, compared to the 300,000 today. Why has the demand for skilled workers increased? Today’s machining companies are producing parts for a variety of industries that are becoming increasingly complex. To grow with the market’s demand, machining equipment and the knowledge needed to operate it is becoming more multifaceted. It is “not your father’s machine shop” anymore; positions require higher levels of computer literacy, in the areas of CAD (computer aided design) and CAM (computer aided manufacturing) than in the past. A good machinist in the modern age is a machinist, an engineer, a programmer, and is familiar with growing industry standards in geometric tolerance and ISO / AS standards. Proactive machine shops are buying new equipment to replace outdated machinery and add capability, creating demand for this new skill set. In addition to the natural course of updating a shop’s equipment, it is expected that machining companies will be purchasing more equipment in the coming year due to recent tax incentives. In order to remain competitive and take new business opportunities in today’s market, successful machining companies must advance their capabilities by investing in new equipment and a skilled staff. A practice at Temco tool is to develop future machinist from employees that exhibit an aptitude for the trade. In addition to our tuition reimbursement program, we offer, what we refer to as “Temco U”, a training program we run internally to develop our future machinist a manufacturing experts. We consider it a "win-win" the employee gets unsurpassed hands on training with industry leading equipment and experienced manufacturing experts. The company in return grooms the next generation of employees to take us into the future. How is Temco advancing with the market’s demands? Temco Tool has been a leader in machining complex components for aerospace, medical, and other industries where precision is key. 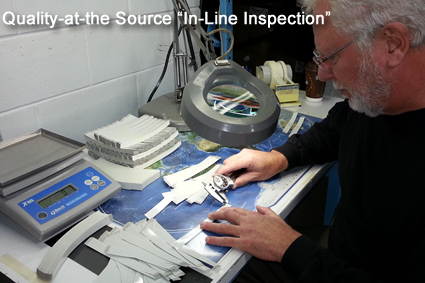 We have noticed an increasing need for ultra-precision parts that undergo rigorous inspection. In response to this trend, Temco Tool has decided to expand our facility and purchase additional equipment to further expand our capabilities. In the upcoming months, we will be adding 16,000 square feet to our facility and purchasing new equipment as part of the expansion. With our new addition, we will be adding new members to our manufacturing team. Our upcoming posts will discuss in more detail our expansion project and what benefits it will provide Temco customers.